Among the many types of cancer acknowledged during the month of September is lymphoma, a cancer arising from a subset of white blood cells (lymphocytes) that compose an important part of the body’s immune system. Lymphoma is typically divided into two major classes, Hodgkin lymphoma and Non-Hodgkin lymphoma (NHL), which are differentiated by the types of white blood cells involved. NHL is considered the seventh most common cancer type, representing 4.3 percent of all new cancer cases in the United States. While the prognosis for NHL is favorable, with more than 70 percent of patients still alive five years after diagnosis, it is imperative to continue studying and understanding this disease so that new and better methods of treatment can be developed. 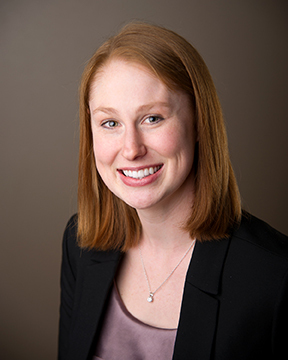 Laura M. Rogers, PhD, a postdoctoral fellow at the University of Iowa and recipient of a 2014 AACR-Millennium Fellowship in Lymphoma Cancer Research, is making important strides toward this effort. Her research is aimed at understanding the relationship between complement factor H (a protein critical to immune function) and treatment response to rituximab (Rituxan, an immunotherapeutic used to treat hematological malignancies) in patients with follicular lymphoma, the most common type of NHL. Rogers’ interest in cancer biology began early in her career, during her graduate studies at the University of Iowa. “During my first-year graduate rotations, I actually wasn’t sure what area of biology I wanted to pursue,” recalls Rogers. “My choice to ultimately join a cancer group primarily stemmed from my interest in eukaryotic genetics.” Rogers also recognized the importance of cancer research to human health, and felt strongly that she could make important contributions to this ever-growing field. She also credits the strong mentorship she received while working in the laboratory of Adam J. Dupuy, PhD.